St Alphege Church has been a dominant presence in the centre of Solihull since the late 12th Century, around 1190. Construction of the present church began in the 13th Century around 1277 but was not completed for over 250 years in 1535. In 2020, Solihull will celebrate the 800th anniversary of the foundation of the first known church building on this site, and therefore the coming of the good news of Jesus Christ to Solihull. St Alphege church is a fine medieval building with Grade 1 listed status, many beautiful stained glass windows of varying ages and other interesting internal and external features. You can find out more about the history and architecture of St Alphege in the Guidebook. Church of England parishes receive no government funding. 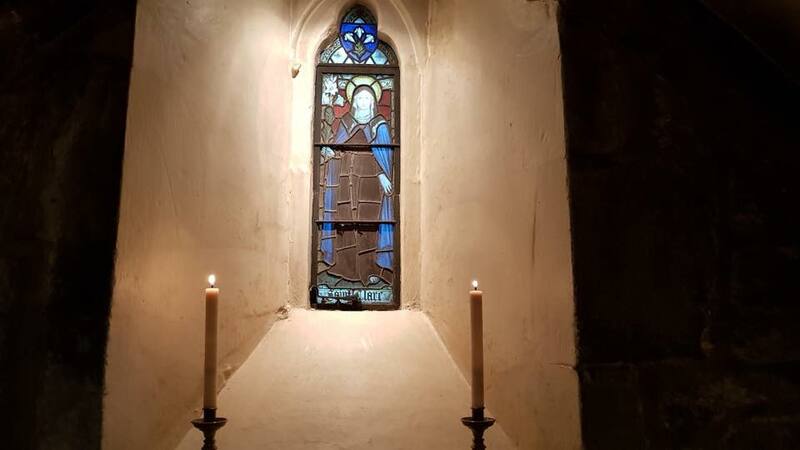 The challenges of maintaining the fabric are largely shouldered by the Guardians of St Alphege who undertake to raise much of the funding needed. St Helen’s Church arose out of a new housing development in the area bounded by Warwick Rd, Seven Star Rd, Lode Lane and Dovehouse Lane. After the Second World War, there were lots of young families finding friendships in the area. Several of them got together as a prayer group, where they could nurture their faith in less formal surroundings than were available in the Parish Church. This group grew apace and soon they got too big for meeting in private houses. Meanwhile, a plot of about one acre St. Helens Road had been given to the Parish in 1948 by The Revd R H Couchman. After much discussion and negotiation, a second hand hut was bought and erected on this plot, mostly by do-it-yourself labour and St. Helen’s Church proper was born. A second hut was added later and a permanent structure built in the mid 1970s. A new youth hall integrated with the main building, and was dedicated in November 2001. Except for the chapel, which is retained as a place of peace and tranquillity, the buildings were built for multi-purpose use and there are few times when the halls are not occupied by some group, many of them secular. Remember Sunday School? St Michael’s started in 1955 with Sunday Schools for children held in people’s homes in the Stonor Park/Cheltondale Road area. Ten years later by popular demand a church service was held in Sharmans Cross Junior School. St Michael’s never looked back from then and the school has been our venue for church services ever since. We have our own Team Vicar and a vicarage with chapel and meeting rooms attached and sited in Bryanston Road. We are an integral part of Solihull Parish and welcoming newcomers, families and children is still our priority.